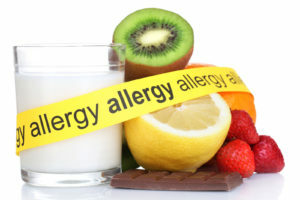 A food allergy results in a person having an atypical response to a particular food. To avoid individuals suffering from these responses, it is essential for all those responsible for the purchase, delivery, production and serving of food in the catering industry to have an excellent knowledge of allergens and their control. The qualification is aimed at food handlers and other staff involved in food preparation and service who work within the catering industry. This qualification is supported by Allergy UK, who regard it as suitable staff training for catering outlets that wish to apply for their Allergy Aware Scheme. The qualification is designed to provide knowledge and understanding of food allergens and foods that commonly cause intolerances, their characteristics and effects, the importance of effectively communicating information regarding allergenic ingredients to customers, and how staff can minimise the risk of cross-contamination from allergenic ingredients. This qualification is assessed by multiple-choice examination.